Tag Archives for " solar states "
At the recent Green Tech Media conference in Phoenix, Arizona the panelists talked not only about how hot the solar market has been, but how and where the hottest aspects of the solar market will continue. Notably, 94% of all solar ever installed in the USA was installed between 2010 and 2014, which goes along with the SEIA report showing how almost 1/3 of all new energy capacity installed in the USA last year was solar PV. 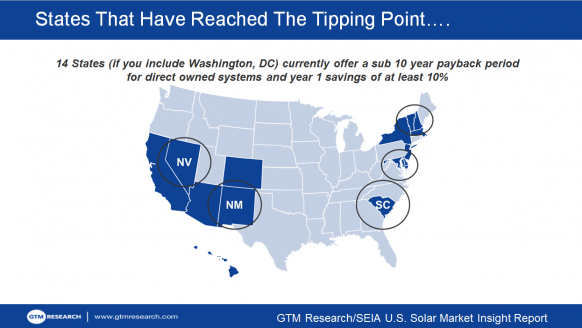 We follow the hot solar markets pretty closely, and wanted to share a few breakdowns on what the hottest markets are.